GMCH Recruitment 2018 : Gauhati Medical College & Hospital Latest Recruitment 2018 notification is out for filling up 6 posts of staff nurse. According to the GMCH Guwahai Recruitment 2018, A walk-in-interview will be held on the date and time mentioned below in the Department of Medicine, Gauhati Medical College Hospital, Guwahati, for selection of the candidates to be engaged on contractual basis for National Programme for the Health Care of the Elderly (NPHCE) in Gauhati Medical College Hospital, Guwahati. 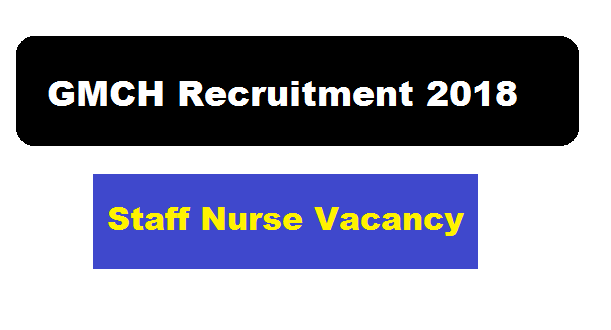 In this section, we will mention the details about the Recruitment of Staff Nurse Posts Under GMCH Recruitment 2018 with all the details and requirements . Age Limit: 18 years and not above 38 years. Eligible and interested candidates may appear before the selection committee along with original Certificates & Mark sheet and a Standard Form of application duly filled in.